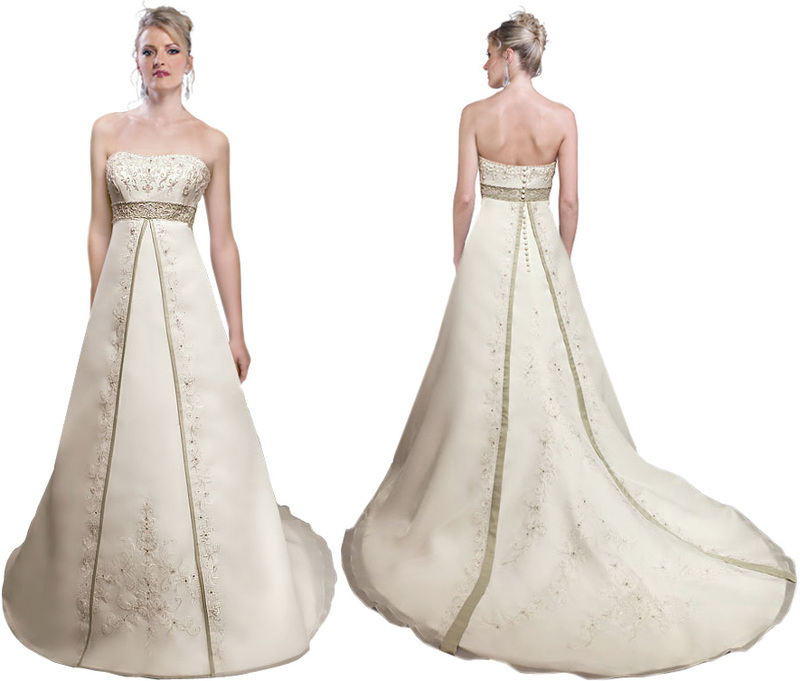 A bride to be can look like a diva in this strapless bridal gown. It has a slight sweetheart neck. 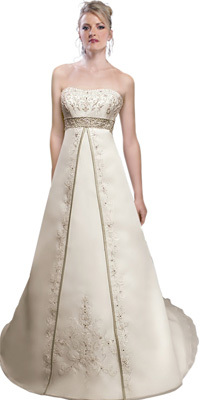 The bust is beaded and embroidered with a sash band at the empire waist. The skirt of the dress has designs too that makes the skirt look enamoring. It gives a divide. The train also has designs.